My first trip on a plane was at age 10, camera, journal and book in hand. 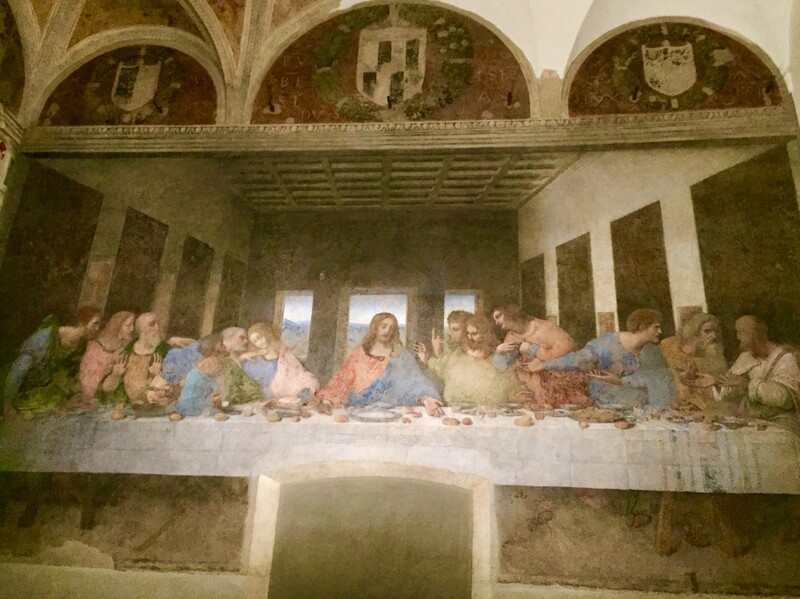 The adventure continues—still so much to see, taste and learn. I'm sure such people exist, but I've yet to meet anyone who hasn't loved Prague. I fell under her charm as I drove from the airport past her majestic buildings and roads lined with tulips. The skies were grey and a winter nip remained in the spring air, yet this proved no hindrance to exploring the city. Prague is justly famous for her sights, but may I suggest you also wander her streets, savouring those sights often not rating a mention in a guidebook? Simply enjoy, and fall under Prague's spell. 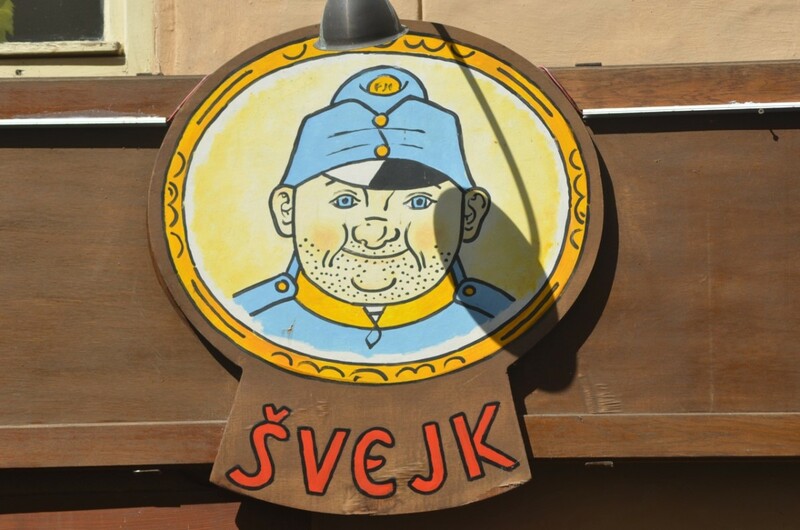 I took the image above outside a restaurant; images of the Good Soldier Svejk appear throughout the city, and he gives his name to many establishments. 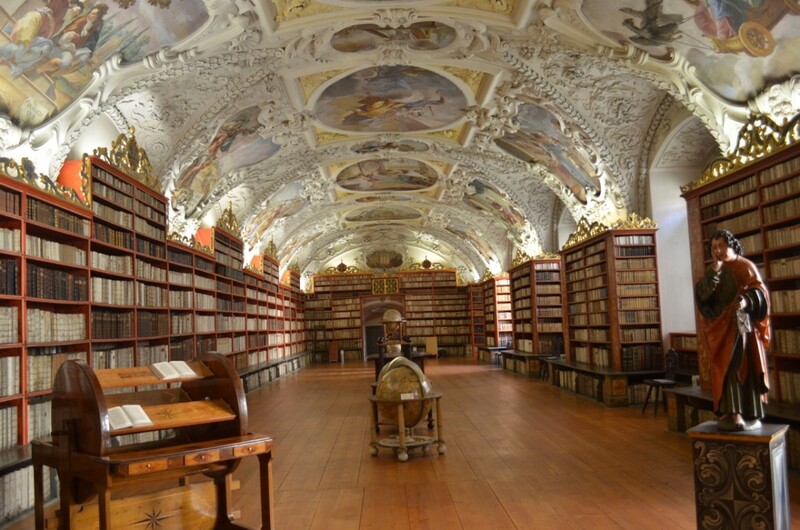 Prague—and the Czech Republic—boasts a long literary tradition, so there is no excuse to have nothing to read while here. Hasek's The Good Soldier Svejk is a darkly satirical yet hilarious work set during WWI; it remains the most widely translated Czech novel. Franz Kafka, author of novels such as The Castle and The Trial was one of the 20th century's leading literary figures and remains one of Prague's most famous sons. A vineyard in the town? Naturally. 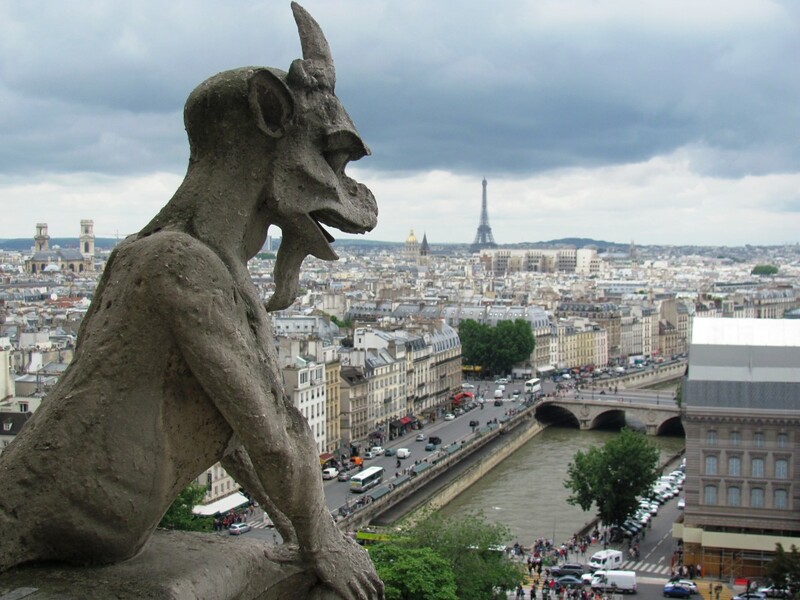 (After all, there is one in Paris.) 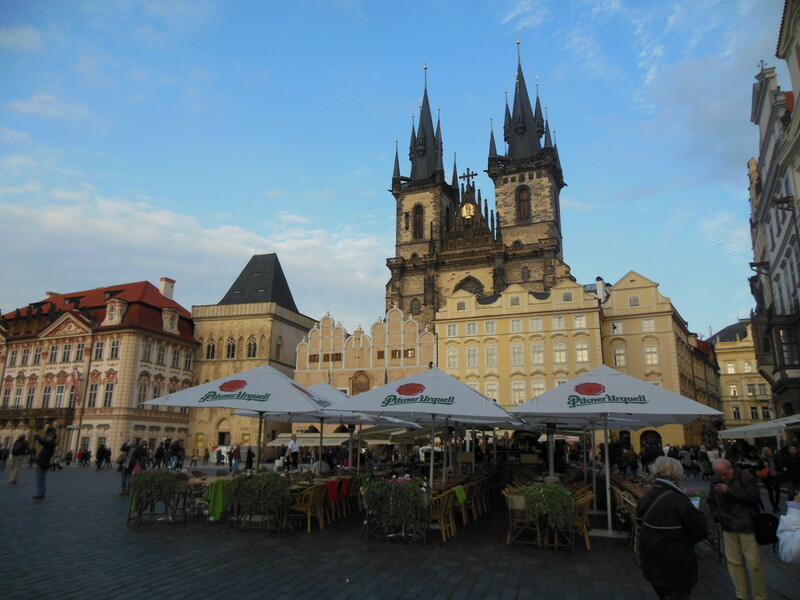 After enjoying Prague Castle and the spectacular views over the city, I decided to walk down to the Old City. The walk took a while but was well worth the effort. Just below the castle, I came across these vines, a reminder of the food and wine the city has to offer. 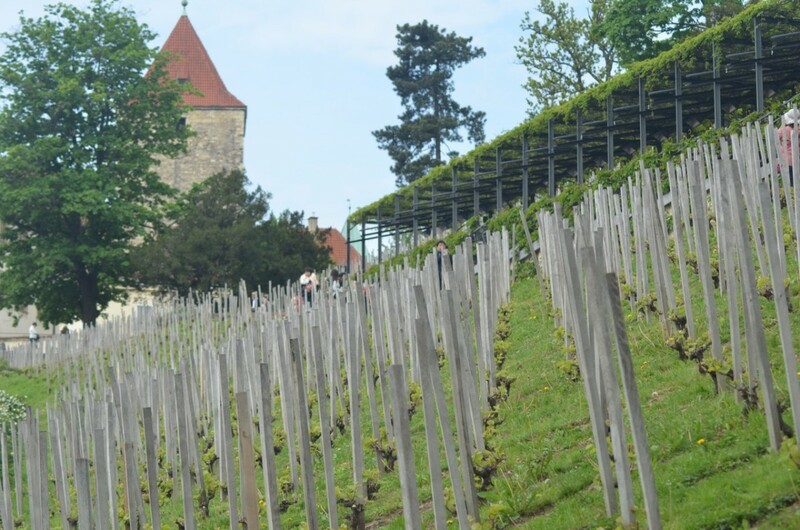 It is believed this vineyard was planted by St Wenceslas in the 10th century, making it the oldest vineyard in Bohemia. I found this wall not far from the St Vitus' Cathedral, tucked away out of sight in a courtyard. (Ok, so I had to open the gate and wander in. No one seemed to mind.) In so many ways, the city of Prague is a living historical document, for with almost every step, you pass somewhere with its own and often ancient story. Yet despite this, Prague remains alive. 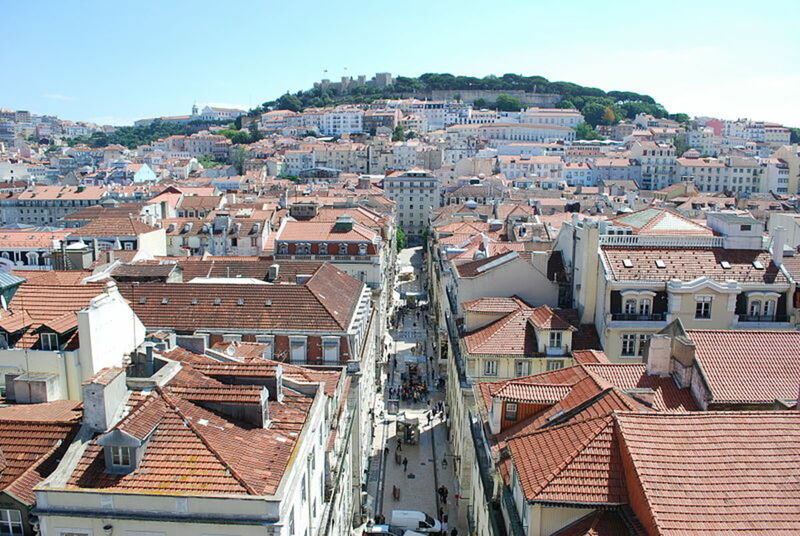 Her art and culture are not stuck in the past, but continue to evolve, adding to the vibrancy of the city. The Strahov Monastery was a spectacular find. 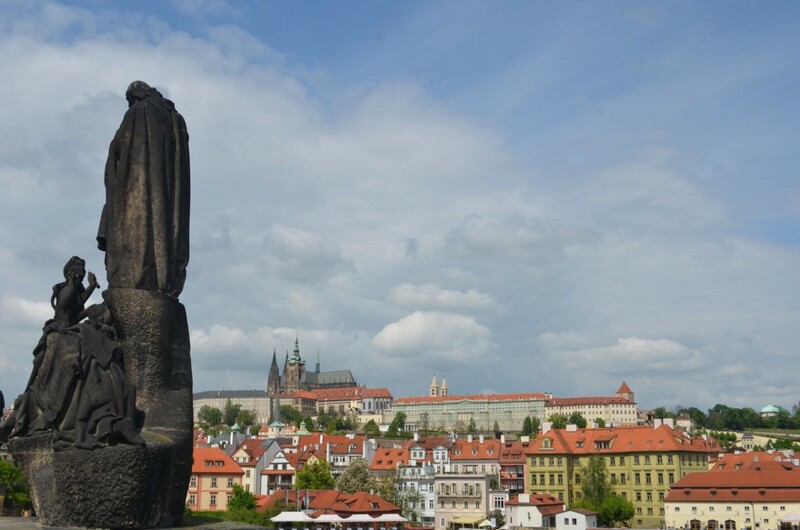 Situated near Prague Castle, the complex was built in 1140. Amongst her buildings, the monastery boasts two 17th-century libraries, one filled with theological works and the other with philosophical treatises. The corridors have displays of what are delightfully termed 'cabinet of curiosities', a direct ancestor of modern museums. These were purchased from Baron Karel Jan Eben in 1798 and include parts of a dodo, a range of marine specimens, a suit of chain mail, canon balls from the French occupation of Prague in 1742 and a tusk from a narwhale (believed to have belonged to a unicorn). 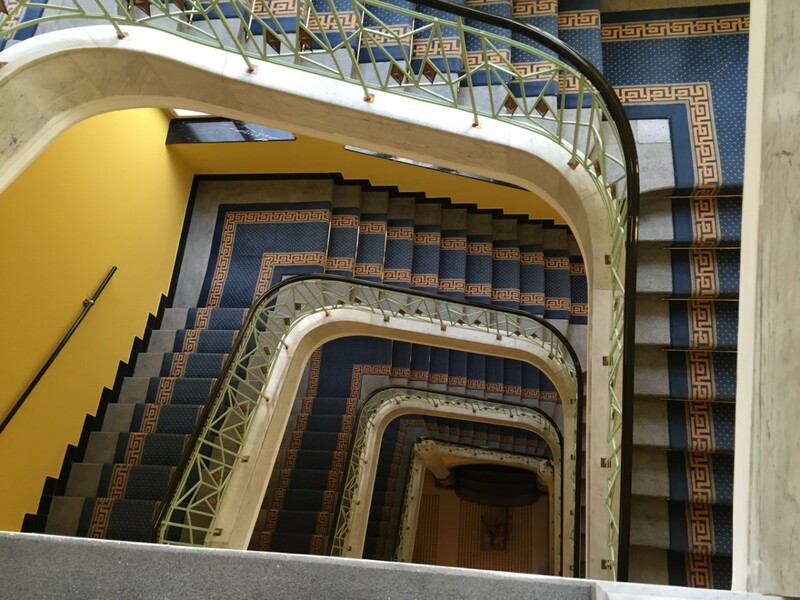 Prague is an Art Deco world—it is everywhere. I took this photo in the stairwell in my hotel, aptly named the Art Deco Imperial Hotel (in 1730 an inn here was called The Black Eagle). The hotel's restaurant, the Cafe Imperial, was one of Franz Kafka's favourites. I can easily understand why; the ceiling, walls and even the floor are covered in original art deco ceramic tiles, and the food lived up to its surroundings. Wandering through the Old Town, I passed this narrow passageway—so narrow, there are traffic lights for pedestrians. At 50cm in its widest spot, it is impossible for pedestrians to pass one another. The Vinarna Certovka is in the historic Mala Strana area. Quite possibly, Vinarna Certovka is not actually a street, but the remnant of an old fire brigade pass. At the far end of the alleyway, steep stone stairs lead down to the river; remember you need to climb back up them before venturing back up the street! The Schwarzenberg Palace Museum is in the area around Prague Castle, which was once home to many nobles who moved here to be close to court. Many of the palaces they built here are covered with sgraffito (a type of decoration where the top plaster is scratched away to reveal another colour underneath) giving them an elegant and delicate appearance. 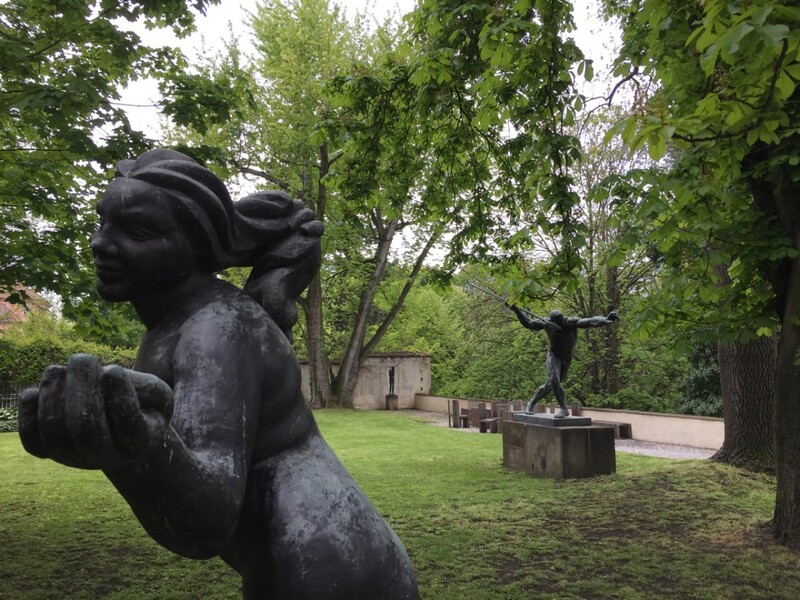 The Schwarzenberg Palace Museum specialises in European art. It was late in the afternoon when I arrived, and the building was virtually empty. The photo above shows the gardens; inside is a wealth of the most incredible artworks. Above the marble staircase were beautiful Florentine ceramics. 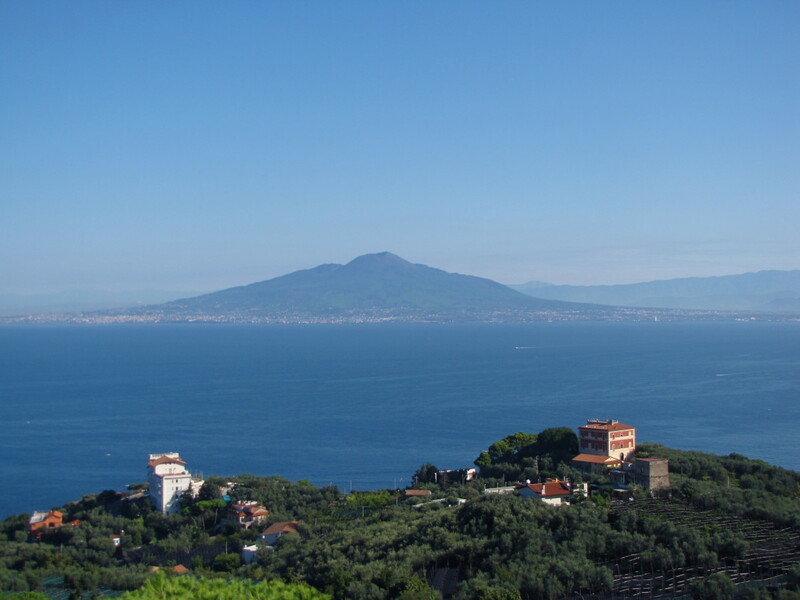 There were also works by Rembrandt and Reubens, as well as Bronzino's famous twin paintings of Cosimo I de Medici and his betrothed, Eleonora di Toledo. A place I could easily spend all day. 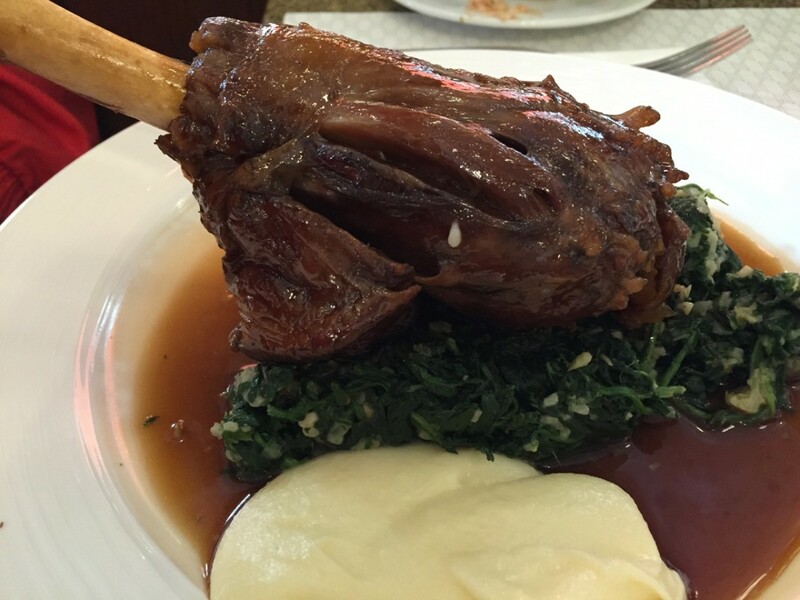 Prague is a gourmet delight. I've already mentioned the Cafe Imperial; at every turn there is somewhere worth investigating. Veal cheeks, wild boar, lamb shanks on heavenly truffle potato puree, delicate pan-fried trout, a simple bowl of soup washed down with a kir royale. Not to mention the cured meats and cheeses, or the fresh breads. Then there are the wines, or perhaps you'd prefer to wash it down with a local beer (of which there are many)? Meals are often finished with a shot of becherovka, an incredibly alcoholic herbal bitters drunk as a digestive. 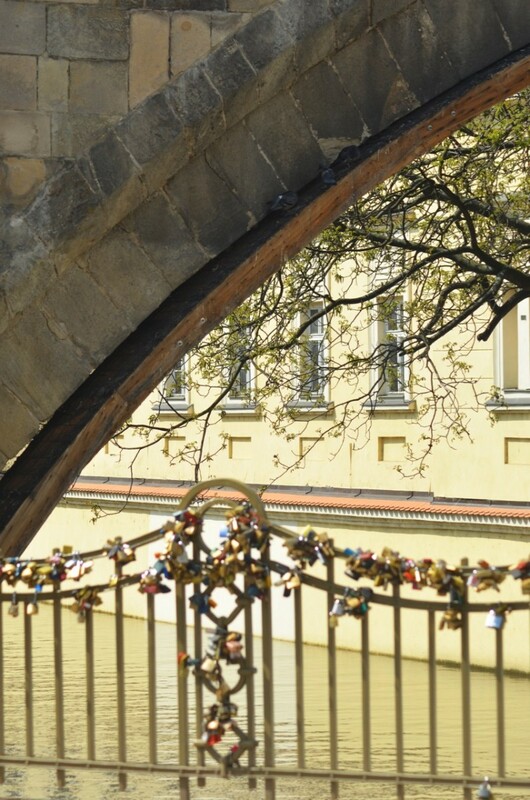 No matter how little or how long you have in Prague, it is a city of many secrets waiting to be discovered. Often they lie hidden just a few steps away from the crowds of tourists who come to see this most beautiful of cities. 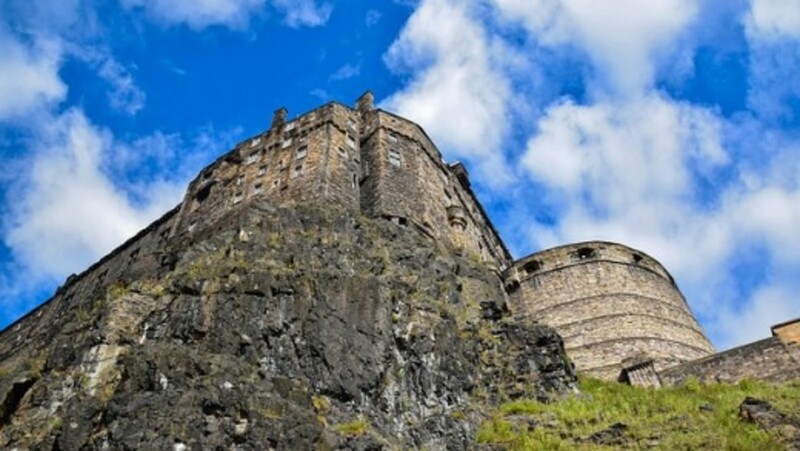 Why Visit Edinburgh Castle in Scotland? Of course you need to go back to Prague, Liz - but there are always so many other places to visit! Thank you so much for your kind words. This is a fascinating and extremely well-illustrated article. You mention several things that I missed on my visit to Prague. It makes me think I should return. Thanks Linda. 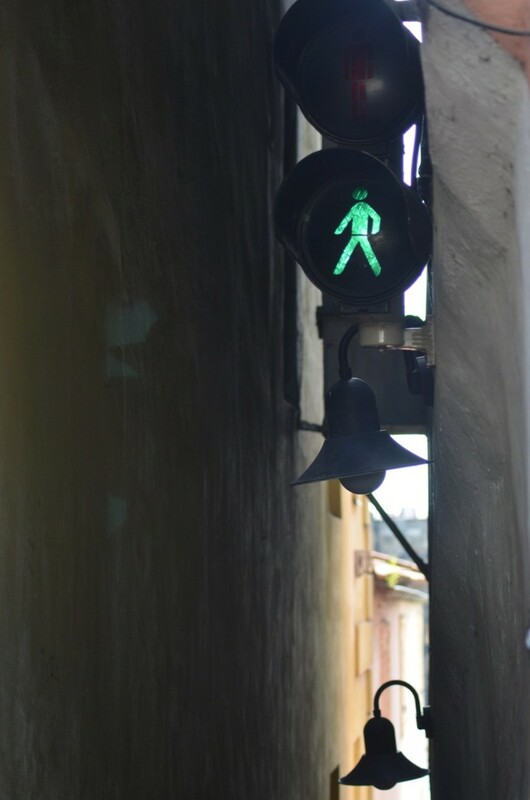 Prague is the only place I have seen pedestrian traffic lights - but I'll keep searching! Prague looks like a great place to visit. A traffic light on a narrow path for pedestrians is an interesting idea! Thanks for taking the time to read and comment, Bill. Prague if amazing - please visit there soon! The concert sounds amazing, Mary. Prague is one of those places everyone seems to enjoy. I have a feeling your bucket list might be as long as mine, Stephen! Hope you make it to Prague soon. Looking forward to visiting Prague in the near future. Looks wonderful. Thank you for sharing with us. This is one place we really enjoyed. 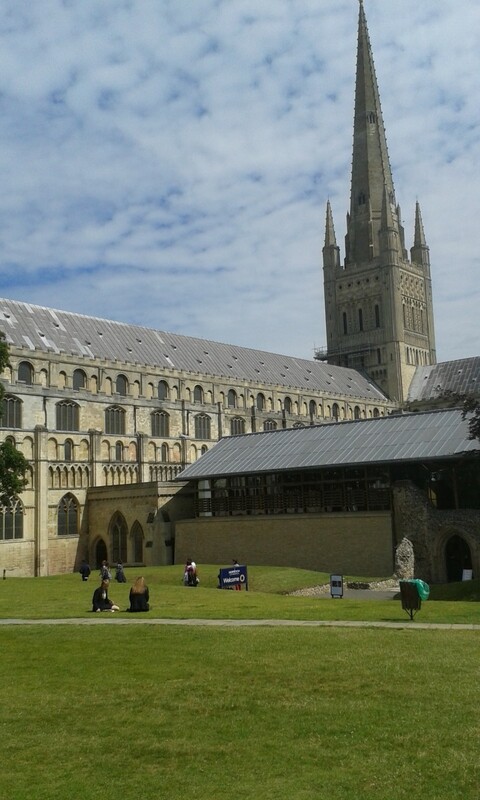 We visited some of the Churches and listen to the concerts in the late afternoon. We also attended a fund raising concert in the Opera sponsired by Caritas so we had a thoroughly memorable visit. Beautiful pics Ann; really enjoyed your mini tour of the city. I think I may just have to add Prague to my travel bucket list. Ann what a delightful tour. 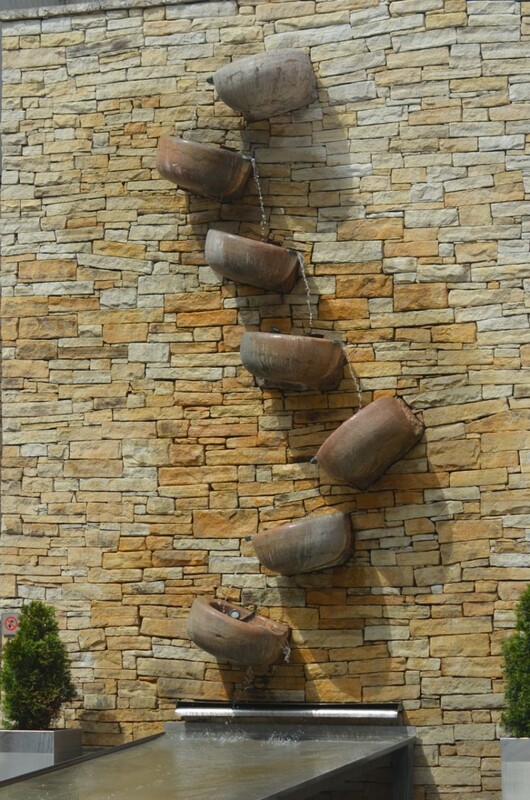 Your descriptions are wonderful, and the photos capture the sights and sounds perfectly. You make me want to pack a bag and head to Prague. Wonderful. Thank you for sharing your journey with us.